Water drops in macro photography has been something I have always loved. I think it adds a bit of depth and sparkle to the photograph. When I first started learning about photography, I thought that to get these beautiful accents the photographer would rise early in the morning, and capture the dew as it settles on their subject or wait for the rain to end. When I was older, I discovered you can do this, however, there are easier ways. 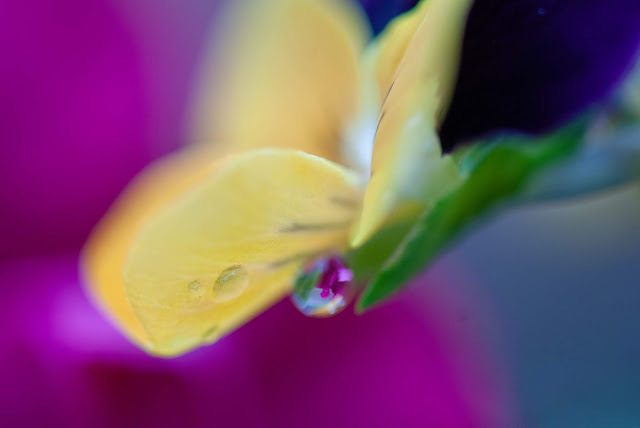 I first became interested in capturing water on flowers when I was at the Denver Botanic Gardens 7 years ago. I had finished photographing a wedding and had my rented equipment for a few more days. I had rented a few lenses and a secondary camera for the wedding. I specifically rented a macro lens that I was interested in buying and decided to take it for a test drive, the Nikon AF-S VR Micro-NIKKOR 105mm f/2.8G IF-ED Lens. I fell in love with the 105mm, and captured some beautiful images with it. While photographing in the gardens, I came across a recently watered section and instantly because drawn to water on the flowers. What I love about the photograph above, and what I continually attempt to capture with my water droplets, is the refraction in the water. 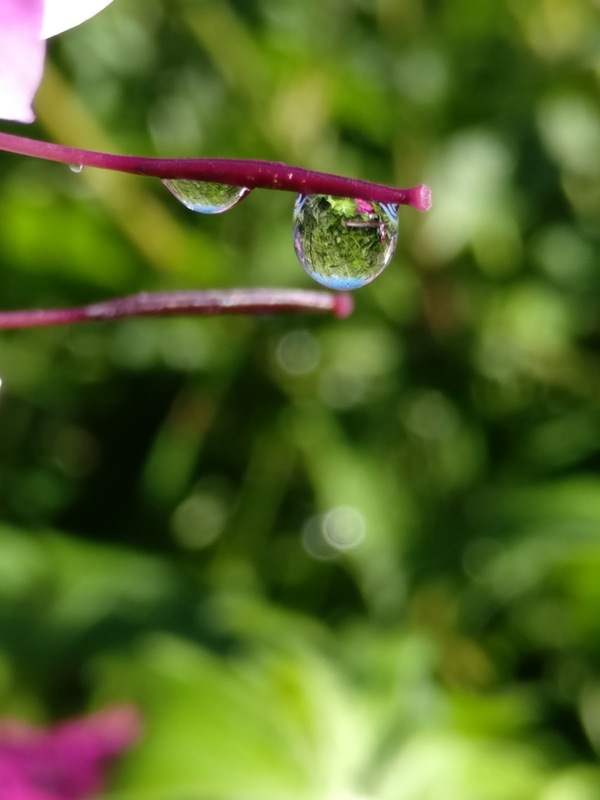 Even though it is not completely clear, the water drop is refracting the other flowers near by. The water also adds an elegant accent to the photograph. 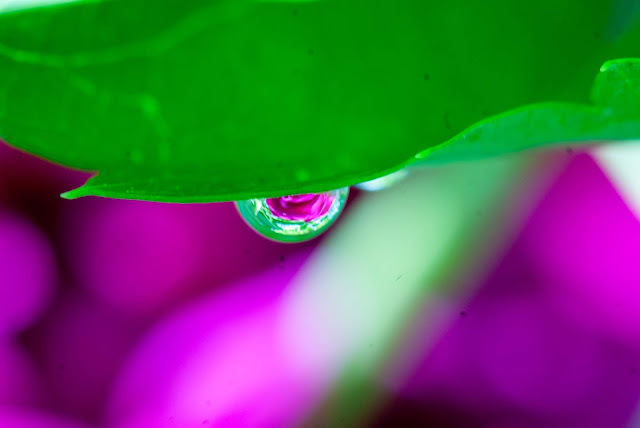 Occasionally, I am able to see an interesting narrative in the drops, that is unexpected with the photograph. 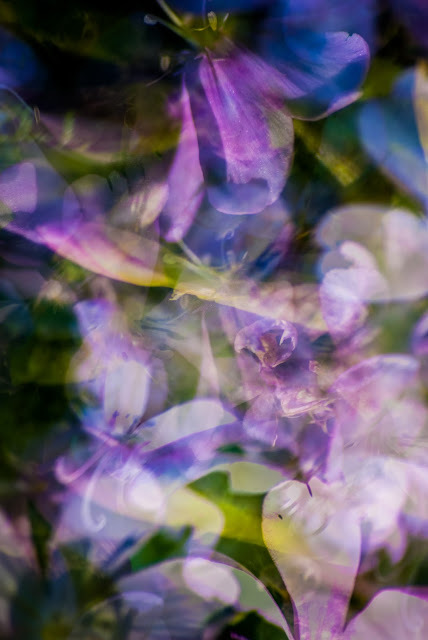 The image below, at first glance is a boring photograph of some water on a flower. When examining the water closer, the refraction narrates myself taking the photograph and even gives a hint of the weather conditions. The water shows blue sky's, flowers and faintly on the side, my camera lens. 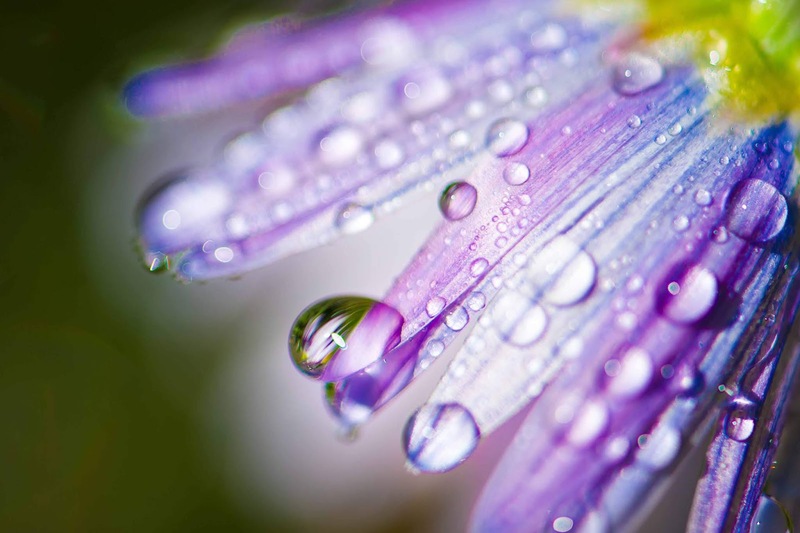 Even though the water on this flower doesn't help the image overall, it does create an interesting narrative. 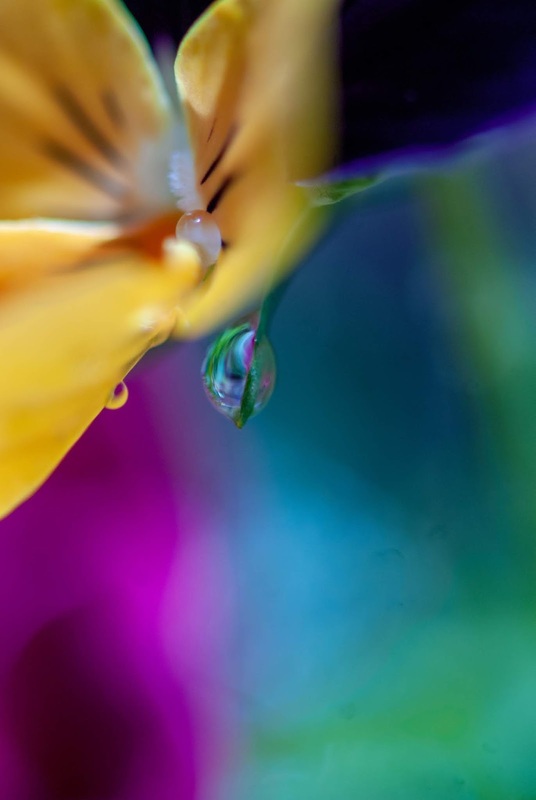 Capturing a water drop with macro photography is easy, however, if you want to capture the narrative in the drop or have more control over the waters location, it may take a little more time. You can always go into your photo editing program, and add in the images to the drops. I prefer to do as much as possible while taking the photo and limit my time in a photo editing program. I have a few simple tricks I follow that do not require following rain storms or waking up earlier than I want. The best part is, you do not need a fancy camera and lens, this can be accomplished with your phone, as seen below. 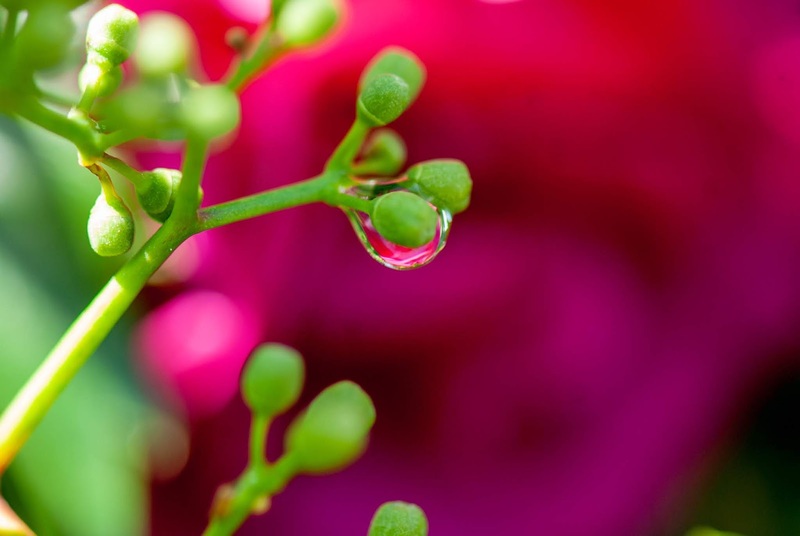 What do you need to capture beautiful water drops? Not that much! The process is the same for a phone and SLR. Lens: You do not need a macro lens, any lens will do. 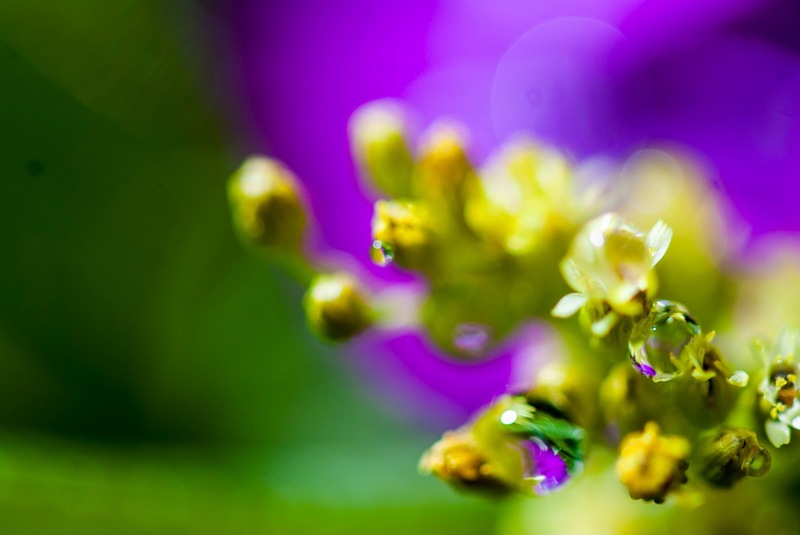 When choosing your lens, keep in mind that the shorter the lenses focal length is, the closer you will be able to get to your water drop. If all you have is a standard lens, that will work fine. But if you want to get closer you can always invest in some macro accessories, such as close up lens, extension tubes, reversing lens and teleconverters. If you are using a phone or point and shoot camera you do not need lens attachments (but they are fun to play with!). Your phone and point and shoot should have a feature for macro. If you do not, most of the time the camera should be able to get a relatively close to the water with or without zoom. Tripod: If you do not have a tripod, you can hand hold your camera, just be aware that you may need to adjust some settings on your camera to compensate for possible camera shake. You can also place your camera on a steady object and use it as a tripod. A tripod is helpful in reducing camera shake and if you are using any accessories like a reflector or diffuser. A majority of the time, I hand hold my camera. If I do use accessories and need a hand free I will ask someone to help or use Wimberley Plamp to hold the items. Reflector/Diffuser and Clips: I believe in every photography bag should be a diffuser and reflector. If you do not have one of these, they come in all different sizes. If you do not want to purchase these, you can create them with foil and white paper. The reflector will add light, warmth or cool down your subject when needed. The diffuser will soften the light and harsh shadows that are on your subject. Clips are handy when you are photographing alone. You can use them to clip your reflector/diffuser up to have your hands free. You can use photography specific clips, like the Wimberley Plamp or even chip bag clips. Water Bottle and Solutions: Like I mentioned, you do not need to wait for a rain storm or morning dew. Just use a water bottle. You can also use a squirt gun, spray bottle anything that will spray or mist out water. If you want to be particular where the water drop ends up, a dropper or something similar work great. Adding some sugar, saline solution or glycerol will help get bigger water drops to attach to the flower better, and dry slower. 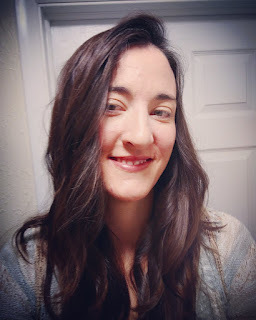 You only need to add a little bit of sugar, saline or glycerol to your water, and you can always google the perfect recipe, however, I would suggest experimenting with different mixtures until you get your desired outcome. If you want to be a little creative with your water, you can also add food coloring! Background Accessories: Background accessories are not necessary but can create a more vibrant, fun and interesting background. Adding colors, objects, even crumpled up foil can make the flower pop. 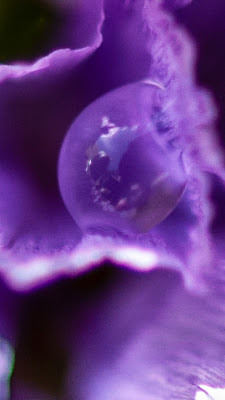 You can also add the subject you want refracted in the water. If going for a Bokeh effect, paper, fabric, feathers, glitter and foil are some suggestions to enhance the Bokeh or suggest a playful background. Get Set Up: Make sure you have your subject in mind, and all your tools easily accessible to you. I always recommend visualizing what you want the out come to be before setting up. Look all around your subject for possible perspectives. Once you have selected your subject, add any additional items you want in the background. Set up your reflector or diffuser if using one and if using a tripod set this up as well but be prepared to move it around once you have added the water. I do not recommend placing your water on the flower yet, however, have your spray bottle filled with your water solution. 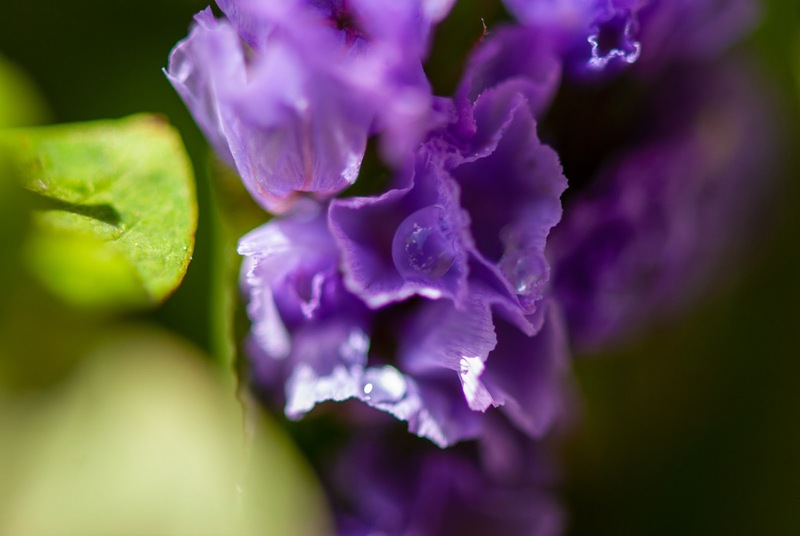 Camera Settings: When shooting Macro, I always put my camera in Aperture Priority mode. Some phone camera and point and shoot cameras have this option as well, if not selecting the Macro function or using zoom will work just fine. I like to keep a limited depth of field with my Macro photographs. I love bokeh and I like having only a little bit of the image in focus. I usually use between F/2.8 and F/5. Your aperture is personal taste, if you want more of the background in focus open up your aperture, if you like a blurred background close down your aperture. I recommend for a high image quality to use a lower ISO, preferably 100 or 200. If it windy out, and you are not using a tripod or do not have a steady hand, you might want to have the ISO set at 400. You can also use your mirror lock up to reduce vibrations. If there is a lot of movement, and you want to use the lower ISO, you can also use a flash, but make sure to use the flash diffuser to soften the light, or you can take some paper and shield the wind. Water Drops: Once everything is set up, place your water drops where your would like them. If using a dropper, be patient you will need a steady hand and might have to try several times to get the drop the way you want it. If you do not care where your drops land use a spray bottle, squirt gun or whatever your have chosen. Once your drops are placed take the photograph. You may at this point have to adjust your angle to get the refraction desired. Keep in mind to photograph at different perspective to maximize your outcome. Shoot from every angle and do not hesitate to be creative and spontaneous, these usually create the best images. In the Studio: If you have a certain look in mind and the suggestions above are not getting the results you want you may want to try using a table studio kit. You can use these outside or inside. If using outside, this will block wind and create a natural diffuser, when using inside you can create a controlled environment for the photograph. I love adding water to flowers and I encourage you to give it a try. You may find that you do not need everything I mention to get the photograph or you may find that you need everything. You will need to see what works best for you. 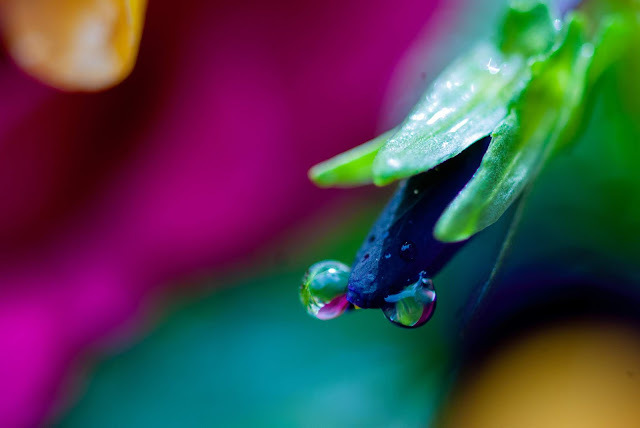 In the end, however you chose to capture your water drops, just remember to have fun and experiment!